The Reticulated Python is a non venomous species of python that is located in southern Asia. It is also considered the longest snake in the world, with the longest specimen that has been recorded to date to be about the same , or a bit larger than the longest anaconda at about 32 feet long. It is not the largest snake being somewhat smaller around than several others, but at the same lengthy will be roughly two times as heavy, because of the muscle involved in the constrictor snakes. Reticulated Pythons regularly reach about 25 feet or 6-7 meters in length when fully mature, although a species that lives on Jampea island is said to attain only about half that size. A supposedly 14.85-meter or about 49 ft long specimen of Reticulated Python was captured in Jambi province, Sumatra, in 2002 but it was not confirmed. The Reticulated Python has a color pattern that is a very complex geometric pattern that incorporates numerous different colors. The back has a series of diamond shapes which are laid between some smaller markings with light centers. In this species’ wide range, there can be many diverse colors sizes and markings. 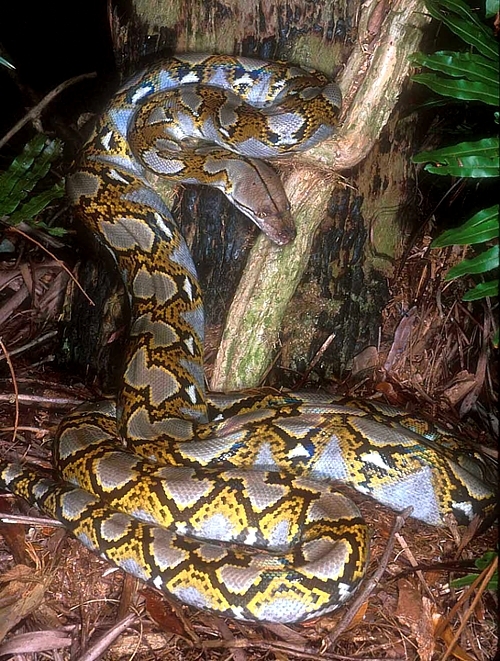 Reticulated Pythons can be found in many areas throughout the Asian area, most notably Southeast Asia from the Nicobar Islands, Burma, Thailand, Laos, Cambodia, Vietnam and Malaysia, east through Indonesia and the Indo-Australian Archipelago (Sumatra, the Mentawai Islands, the Natuna Islands, Borneo, Sulawesi, Java, Lombok, Sumbawa, Sumba, Flores, Timor, Maluku, Tanimbar Islands) and the Philippines, where they will be found in rain forests, in woodlands, grassy areas, as well as rivers, and in areas with lakes or streams. In point of fact, nearly anywhere would be a safe comment. They are known to dine on mammals, particularly birds, the smaller ones will eat mainly rats, where the larger ones, those above 15 feel will eat the civen, stray cats, dogs, chickens and even primates. It was reported that among some of the larger items they have been documented reliably to eat, there was a half-starved old female Sun Bear of 23 kilograms that was eaten by a 23 ft specimen, which took the snake over 10 weeks to digest, as well as pigs of more than100 pounds. 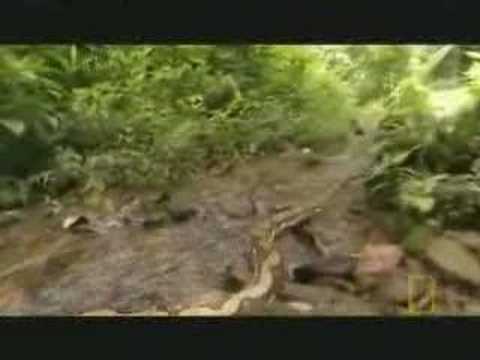 The reticulated python can swallow prey that is up to a quarter of their own length and up to their own weight, as with most other pythons, they are ambush style hunters, waiting til a victim wanders within grasping distance and then striking, crushing via constriction prior to swallowing the prey whole. 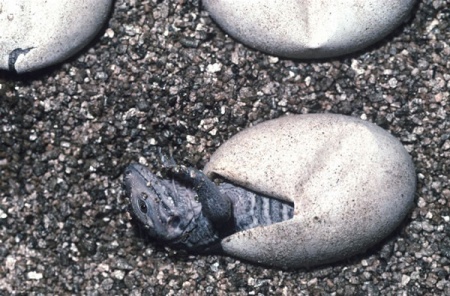 Female pythons will lay about 100 eggs per clutch, which may take up to 80 days to hatch, the smaller snakes being about 22 feet long or better at birth and ready to hunt for themselves. Attacks on humans are rare, but this species has been responsible for several human fatalities, in both the wild and captivity. They are among the few snakes that have been fairly reliably reported to eat people, although only 1-3 cases of the snake actually eating rather than just killing a human seem to have been verified. nice photos.but i have a question that,can python or anaconda engulf the human? yes sure a pyton or anaconda can enulf a human cos its mouth aloows it 2 open ten tyms its n0rmal wen sw0ll0wing. . . its a proven fact!